Despite having two more rivers to cross, the Tennessee Men's Basketball Team admits its been hard to keep the thought of making the Final Four out of their minds. 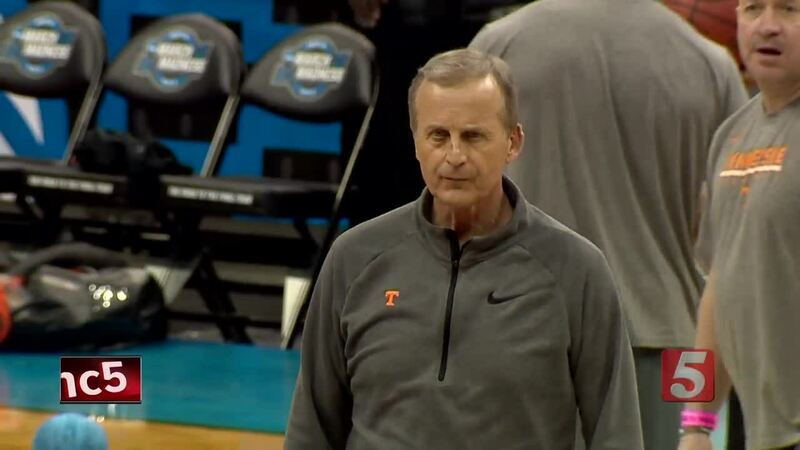 LOUISVILLE, Ky. (WTVF) — Despite having two more rivers to cross, the Tennessee Men's Basketball Team admits its been hard to keep the thought of making the Final Four out of their minds. "I mean, we're young adults, of course we think about it," said Tennessee senior forward Kyle Alexander. Junior guard Jordan Bone added: "We still have a lot of work to do. It doesn't stop here. We've got to keep pushing to be the team we want to be." Vols star big man Grant Williams is taking time to let this run through the tournament sink in. "It's an honor, we're thankful to be here," he said. "There's more to do and more to prove, but so far, we're doing a good job." Tennessee, the number two seed in the South Region, takes on 3rd seeded Purdue Thursday night in the Sweet 16 and both teams have plenty of respect for one another. "(Tennessee is) very well coached," said Purdue Head Coach Matt Painter. "(They are) very tough, very disciplined." Tennessee Head Coach Rick Barnes had plenty of good things to say about the Boilermakers as well. "They play really hard and bring great defense and a lot of speed to the game," he said. "We know we have a big challenge in front of us." The winner of Thursday night's game plays the winner of the other South Regional semi-final between Virginia and Oregon.